Ask most dermatologists, facial aestheticians and skincare devotees what they think of Skinceuticals C E Ferulic and most will confess their love. There’s good reason too, using just a couple of drops each day can significantly lighten marks, reduce the appearance of lines and wrinkles and make the skin look radiant and smooth. There’s no heavy marketing or elaborate messaging behind Skinceuticals C E Ferulic serum. It has organically amassed such a strong following because of its results driven formula alone. It comes with a hefty price tag but considering its effectiveness people are happy to pay the premium. Why should you invest in an antioxidant? 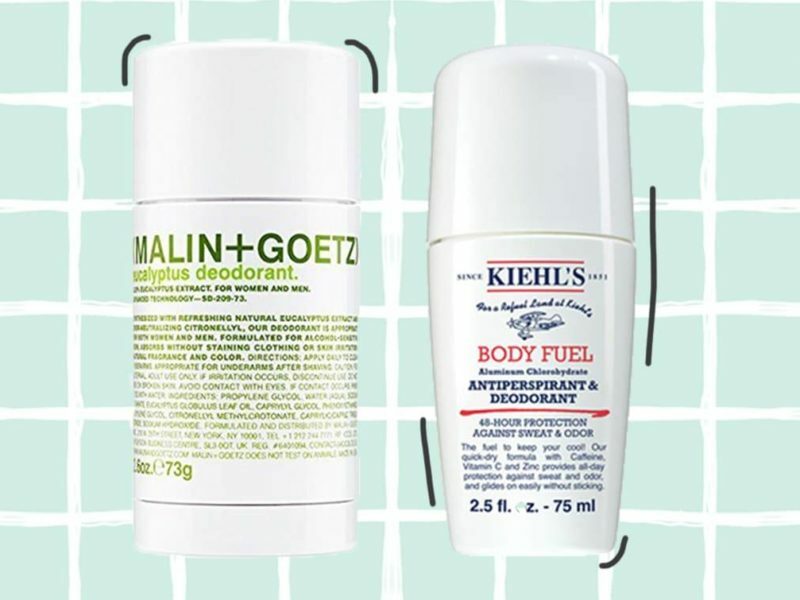 Each day our skin is exposed to free radicals in the form of air pollution, dust and dirt, that can clog our pores and leave a film of impurities on the skin. Even worse, this debris can interact with the sun’s UV rays, accelerating aging and skin damage. Antioxidants play a huge part in protecting our skin, becoming our first line of defence . Read our post on how antioxidants work. Just take the apple experiment for example. When a few drops of C E Ferulic were placed on one half of the apple it didn’t turn brown, whilst the untreated side did. The antioxidant slowed down the oxidative process preserving the tissue. So what makes Skinceuticals C E Ferulic so great? The C E Ferulic serum contains a powerhouse of ingredients that protects skin from environmental damage and reduces signs of ageing. Inside, the pure forms of vitamin C and E neutralise free radicals, protect against oxidative stress and replenish skin’s lipids. A plant-based antioxidant – ferulic acid, also neutralises those cell damaging free radicals and enhances the antioxidant benefits and stability of vitamins C and E.
Research has shown that when combined and effectively formulated these provide more protection to the skin than vitamin C alone, as well as keeping the acid stable. Vitamin C comes in many forms but L-Ascorbic Acid trumps them all, this pure form of the vitamin is said to be ideal at a concentration between 5 percent to 20 percent in topical skincare products and usually have a lower pH. 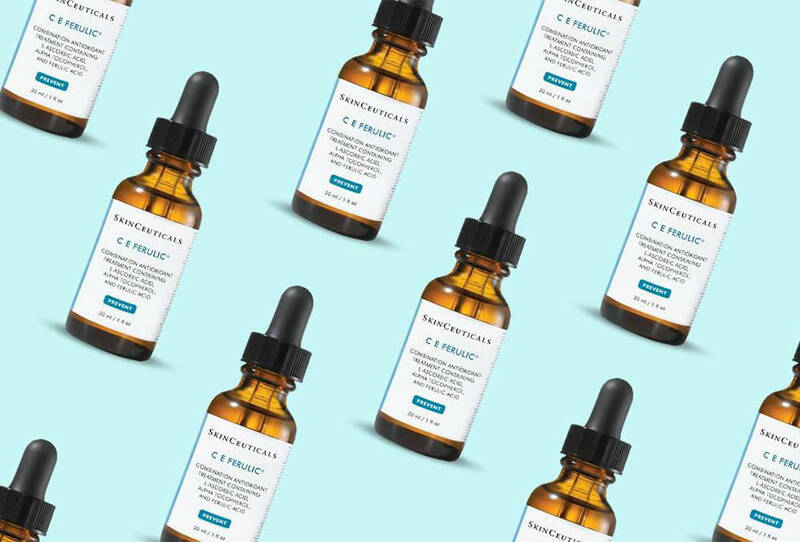 Skinceuticals C E Ferulic contains a concentration of 15% vitamin C and an acidic pH of 3.5 – both considered optimal for Vitamin C delivery and once the serum is applied, the product continues working in the skin for 72 hours! That being said, this isn’t an excuse to just apply every 3 days. The amount of product on the skin will decrease over the 72 hours and you want to have as much antioxidant protection as possible. It’s a product I use most mornings (as I rotate my products) and application requires little effort. After cleansing, apply 4-5 drops to the palm of the hand and with the finger tips pat onto the face, then gently stroke outwards and upwards on the face, chest and neck. After just one use I was hooked. The weightless texture sinks into the skin effortlessly, leaving it feeling hydrated. It doesn’t take long before you see the benefits too. My skin looks radiant, the surface even and the texture is smooth. What was most noticeable was the reduction of my blemish scars, I had some persistent red marks that weren’t showing any signs of shifting, however after just a couple of months they had lightened dramatically. It may not have reduced my dark patch as much as I had hoped but I’m extremely pleased with how my skin looks overall. I stopped using it for almost a week as a test and noticed the skin didn’t have it’s usual glow. So it’s safe to say it’s gained permanent residence as part of my skin arsenal. Scent wise you may be taken aback the first time you try this. It has a unique aroma of, errr, brine, AKA hotdog water. It takes a little getting accustomed to but you find it strangely addictive after a while. Some reported differences in the colour but according to Skinceuticals it’s perfectly normal, they say the colour can range from a light yellow to a darker orange. I have read reports that when Vitamin C oxidises is gets darker and is less effective however Skinceuticals confirm this isn’t the case with their product. The opaque glass dropper bottle protects the ingredients from deteriorating due to heat and light and keeps the product stable. I’d suggest to go further and store in a cool dark place. F.Y.I bathrooms aren’t ideal due to the heat, moisture and light. It has a 12 months expiry date but if you use it daily I can assure you it’ll be gone before then! at Skinceuticals.co.uk. I’ve just noticed that they’re offering 10% off your first order. Shop Skinceuticals C E Ferulic at Skinceuticals.co.uk. I’ve just noticed that they’re offering 10% off your first order. Disclaimer – Most beauty products featured on BeautySauce have sent via PR for consideration. These are all honest reviews and if there is a collaboration between a brand it will always be declared. You will also find affiliate links however this doesn’t costs you (the consumer) extra, it means we take a small percentage of the profit the brand makes from the purchase of a product. This then helps us with costs of running this site.